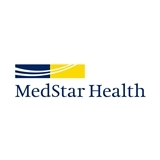 Medstar Medical Group WPCP (Olney) - Book Appointment Online! Washington Primary Care Physicians provides a wide range of medical services, including prevention and early detection of illness, routine gynecological care, menopause counseling and treatment, nutrition counseling, evaluation of emotional and psychological problems, and diagnosis and treatment of life-threatening illnesses. We are a group practice. For routine care, you should select one physician as your regular provider. For established patients, if your primary doctor is unavailable, you may see any one of our providers. Very good. Friendly, informative, interested in James. Appreciated that she included him in the questions. very good in all ways. she is a new doctor to me and i am pleased to have found her. Dr. Kalra is courteous, genuine and thorough. He takes his time to ensure he has addressed all questions and concerns and treats patients with the utmost respect. Dr Sistrunk was very thorough which I greatly appreciated. I had an excellent visit with Dr. Geloo. She was thorough and made me feel comfortable. She also did a great job answering my questions. I am a medical professional myself and highly recommend Dr. Geloo.